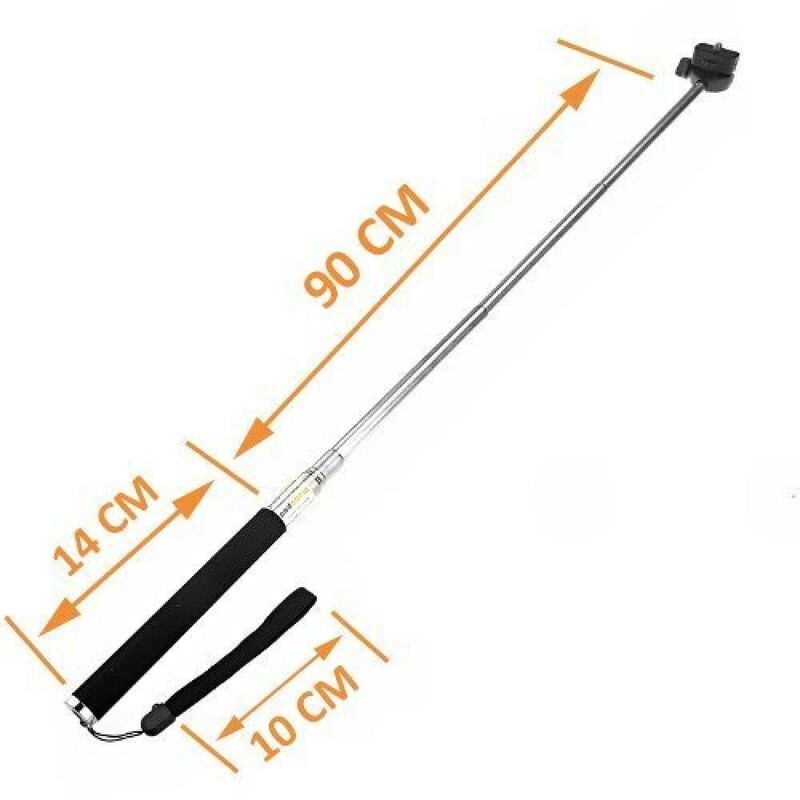 Take self-portraits, pictures and videos with this convenient Selfie (or Selfy) Stick. 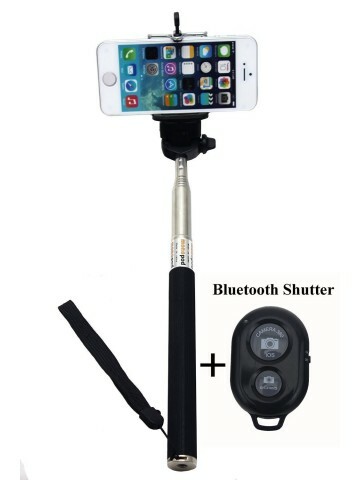 Equipped with remote shutter that works within 10 meters (30 feet) – easy to synch with any mobile phone via Bluetooth. Wireless Bluetooth remote shutter. 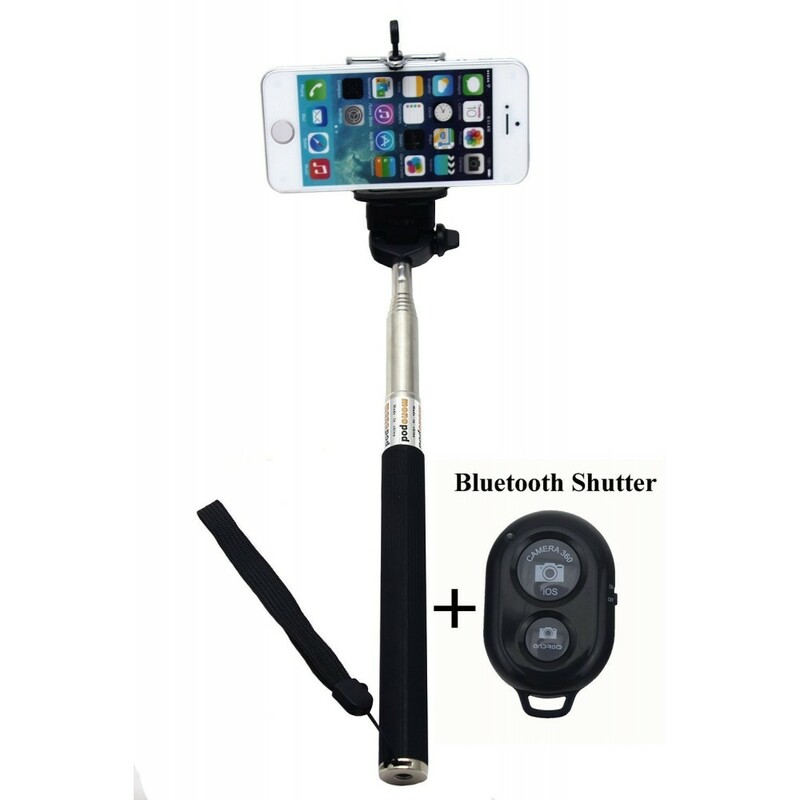 Easily synch with any mobile phones that supports Bluetooth. Works within ten (10) meters (~30 feet) away from cell phone. Supports dual (2) shutter buttons (for IOS & Android devices). 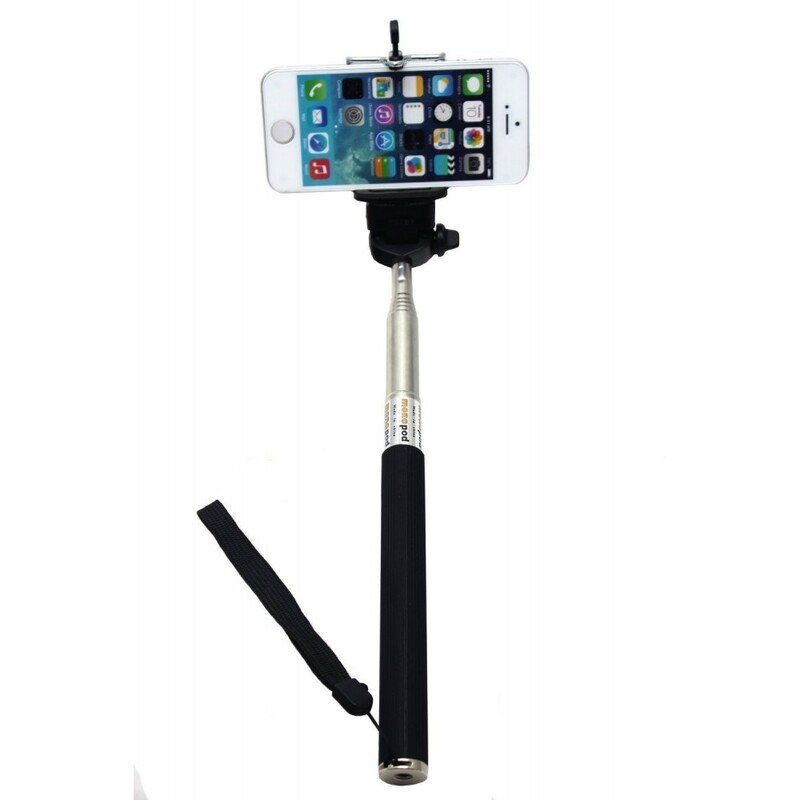 Features a replaceable Lithium 3V battery CR2032. Size: 5 cm x 3.2 cm (2 inches x 1.25 inches).